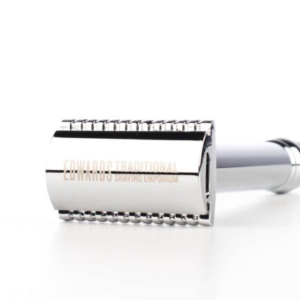 Omega clear safety razor at Edward's shaving shop U.K London. Shaving with omega is a great experience. We at Edward’s are happy to Include them in our range. Also this one is pretty special as it has a crystal in appearence handle. Which is unique to other safety razors on the market. The Omega trademark head is a great standard of shaving. 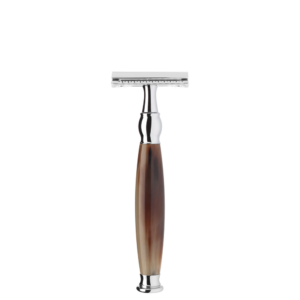 Middle aggressive in design, this is a great all round razor for anyone who wet shaves. It will take on any grain of hair and any toughness of stubble. 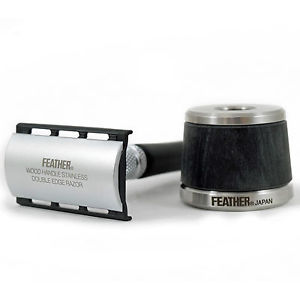 A great everyday safety razor for quick shaving in the morning. This traditional tool takes DE blades which are a universal size. We recommend flexible blades for a new shaver, as it will help you learn how to use a real razor. The handle is resin and polished several times to maintain a gleam. The head is chrome plated which is the best material to stop stains. 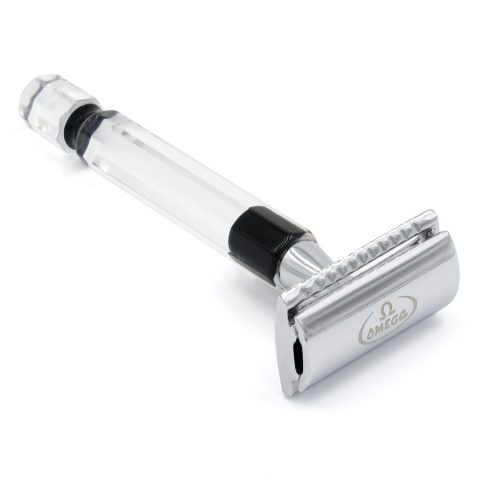 This great razor comes from the 1930’s Italian company Omega. Also known for excellent shaving brushes that are made of boar hair. This company has a keen ethos for materials and build quality. I would recommend it to any serious shaver who want’s a razor to last a long time. Our blog has a lot of great Information on it that has made us famous around the globe. We have a lot of shaving tips on the blog to get you going. Like that you should take small strokes with a DE razor especially around the neck. 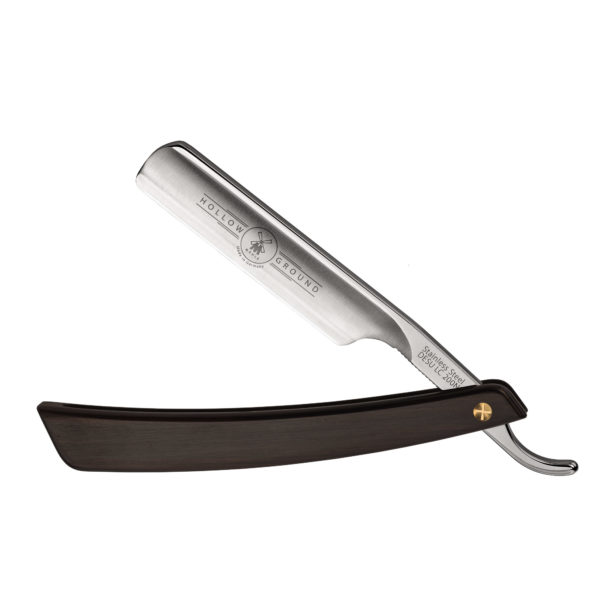 This razor is a safe bet for learning the ropes with old school shaving, why not buy it today and take advantage of our free delivery service. Why not get in touch if you have any questions about this great razor, one of the team will be soon to get back to you. Which DE safety razor blades should I buy.